General Electric, one of America's iconic companies, is in deeper trouble than we realized. GE's third-quarter profit deteriorated more than Wall Street feared, and the company dimmed its forecast significantly. The bleak news sunk GE's beaten-down stock as much as 6% on Friday before it recovered. 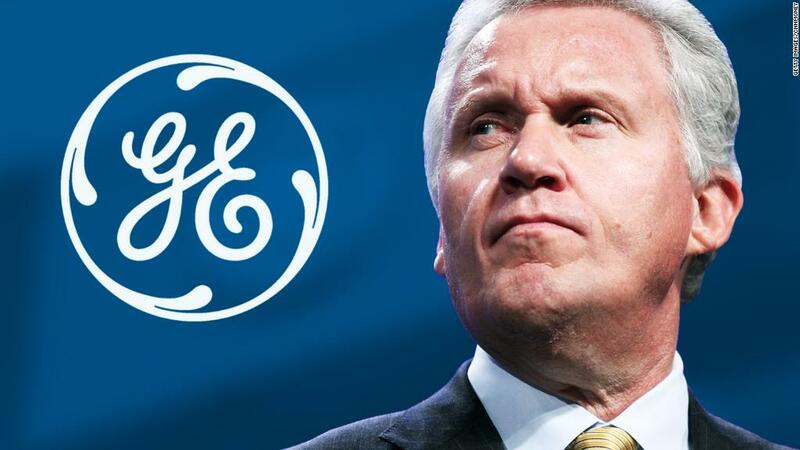 Things are so gloomy at GE (GE) that the company, which has already shrunk itself dramatically over the past decade, now plans to get rid of another $20 billion worth of businesses in the next two years to simplify its vast portfolio. The disappointing news is deepening concerns on Wall Street that GE may have to cut its coveted dividend for the first time since the Great Recession. GE called the dividend a "priority" but didn't rule out trimming it. John Flannery, the new CEO, admitted during a conference call with analysts that the results are "completely unacceptable." He said they were driven largely by "major challenges" in GE's power division. Flannery, who took over for longtime CEO Jeff Immelt in the summer, is expected next month to detail how he plans to cut more than $2 billion in costs, including potential layoffs. GE's new management team has already cut perks, grounding its fleet of corporate jets and eliminating company cars for top execs. Flannery said he's wrapping up an "exhaustive" review of GE's business and culture. He promised there are "no sacred cows." The blunt talk from Flannery about the depths of GE's problems seemed to reassure investors that the new management team is taking the matter seriously. GE's stock recovered from its steep losses and traded flat by the afternoon. GE's profit tumbled 10% last quarter to $1.8 billion. After one-time adjustments, GE earned 29 cents a share, widely missing the Street's view of 49 cents. Profit in GE's power division, which makes equipment and systems for utility companies, plunged 51%. The business suffered from "poor execution" that resulted in project delays, according to Jeff Bornstein, GE's outgoing chief financial officer. GE is trying to fix the power division by cutting costs and replacing management. One bright spot: GE said overall revenue jumped 14%, exceeding estimates. But GE downgraded its 2017 earnings forecast by more than shareholders had been anticipating. GE also warned that its biggest problem -- shrinking free cash flow -- will get worse before it gets better. This key measure of financial strength has declined six straight years and GE expects that alarming trend to continue until for now. "We can, we will and we must improve the cash flow," Flannery said. 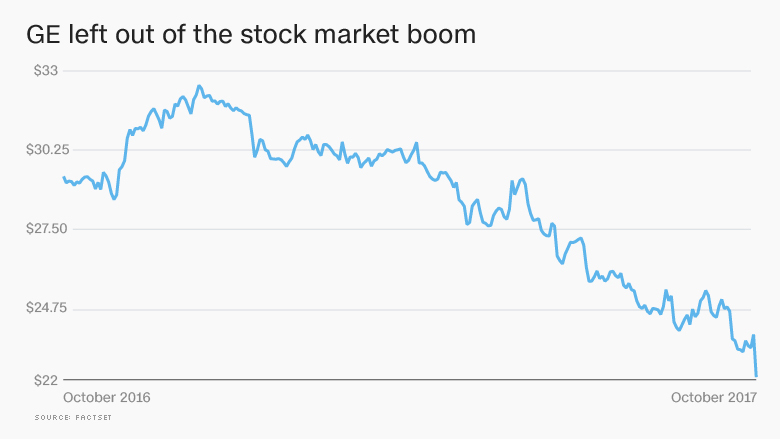 GE's stock is down 25% this year, easily the worst performer in the Dow. The Dow itself is up nearly 18% this year, and its leaders, Boeing (BA) and Caterpillar (CAT), have soared 68% and 41%, respectively. Still, Flannery insisted GE has "significant upside" because he's "highly confident" the company will turn around its business.